[Discontinued] That's right, a non-review because we opened this back in November and the review was never done, mostly because I didn't like it at all = mostly because it was too cheesy and so I had no urge to do an in depth review. My wife actually ate 97% of this pint and she says.... she doesn't remember either. Sorry. I think it was at least decent in her mind (she had no problem finishing it, so that's positive). 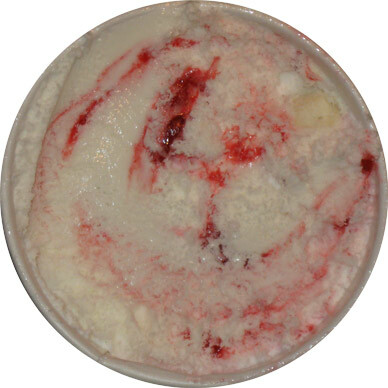 Mild Cream Cheese flavored light ice cream with cheesecake pieces and a strawberry swirl. by the bright white base. I think it's really good! 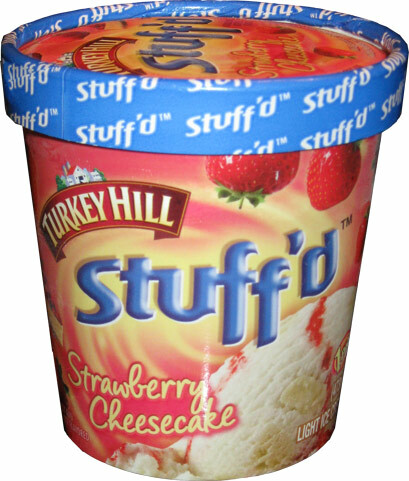 I love Turkey Hill and this is one of my favorite flavors.